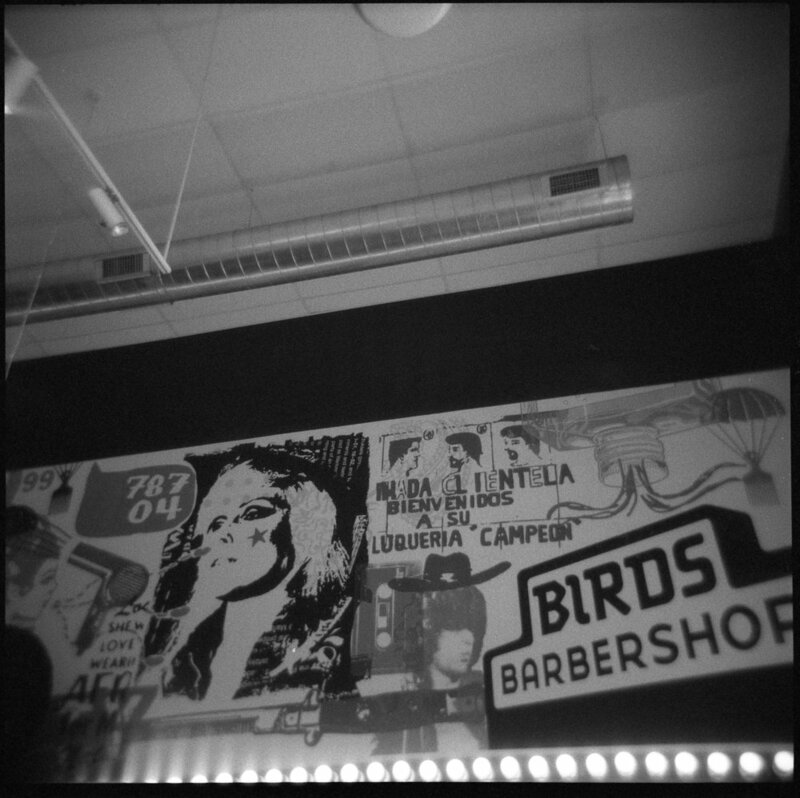 You might think I'm crazy for pairing my Holga and Ilford Delta 3200. And maybe I am. But the results are heavenly. You see, Ilford Delta 3200 is not a true 3200 ISO film. The real ISO is around 1000 (give or take). Still, that's an insanely fast ISO for a little plastic camera. But it performs beautifully - both indoors and out. This roll was shot at once. I developed at home using Kodak HC-110 (dilution B) and developed at box speed. Outdoor images are light and airy. I even got a dreamy double exposure in there. And the indoor photos? WOW! So dramatic. The first is at Bird's Barber shop with the lights on and natural light coming in through the windows behind me and to the right of me. The photo of my daughter was shot with natural light coming in through the floor to ceiling window in front and to the left of her. I hope this helps. If you have any questions about how this film performs, I'm happy to help! Just leave a comment or shoot me an email! You can purchase the top left image in the shop!